PARIS (Reuters) - A Harley-Davidson motorbike sold at auction on Thursday for almost 20 times its estimated value - because its previous owner was the pope. 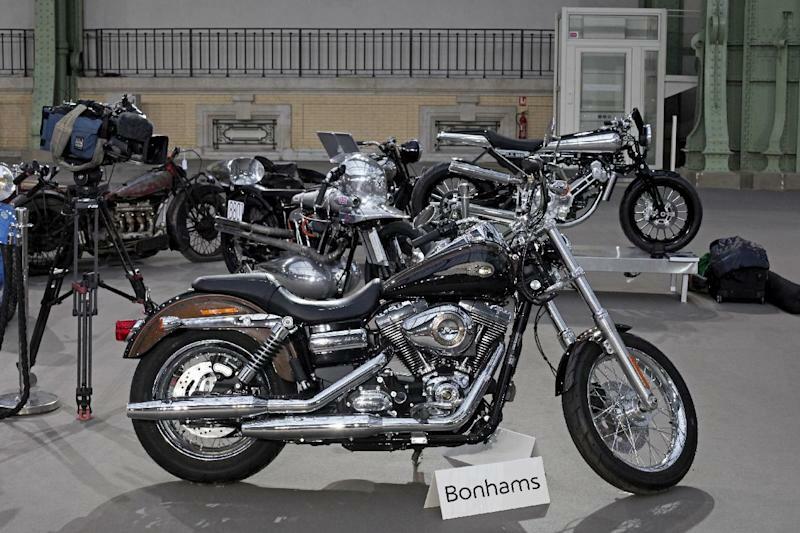 Signed "Francesco" on its tank, the Dyna Super Glide sold for 241,500 euros ($328,300), with a Harley-Davidson leather jacket, also signed by the pope, going for 57,500 euros, both to anonymous bidders, auction house Bonhams said. 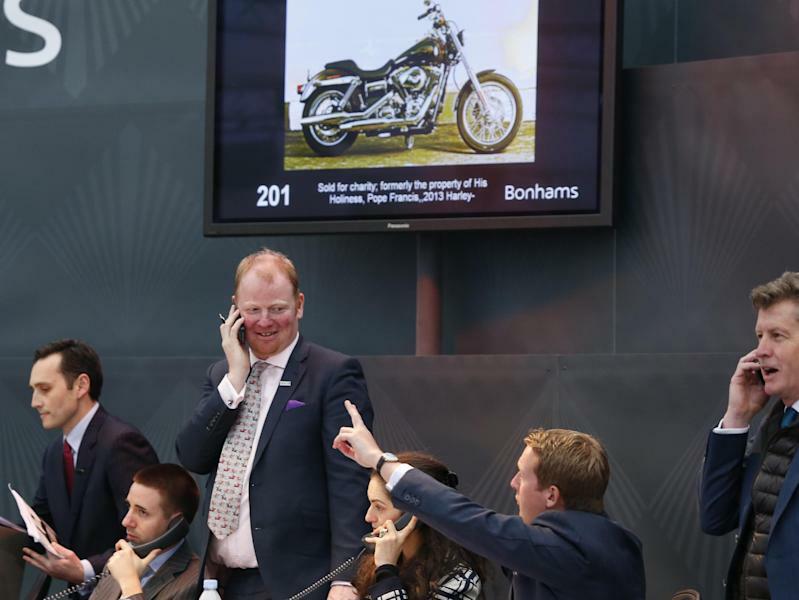 "It has to be a world record for a 21st century Harley-Davidson and certainly for a Harley-Davidson leather jacket," said Ben Walker, head of motorcycles at Bonhams. The motorbike had a pre-sale estimate of 12,000-15,000 euros. In line with his focus on the poor, and his preference for modest modes of transport - he used to take public transport as a cardinal in Buenos Aires - Francis donated the motorbike to Catholic charity Caritas after signing it at a special ceremony at the Vatican in November. The proceeds will go towards the renovation of a hostel and soup kitchen based at Rome's Termini railway station.